MANILA, Philippines - ABS-CBN's noontime show It's Showtime finally beaten Eat Bulaga in national TV ratings, data from Kantar Media says. Netizens are now asking, is the AlDub fever now over? It's Showtime Family (left) and AlDub tandem - Maine Mendoza and Alden Richards (right). 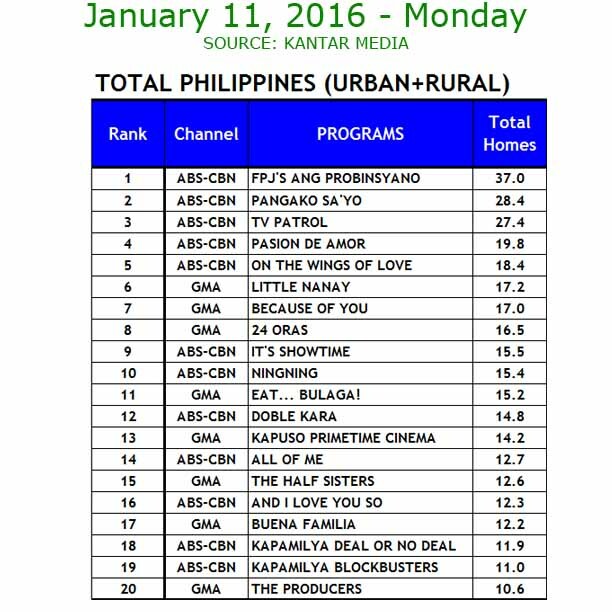 It's Showtime ruled nationwide audience share on Monday, January 11 with 15.5% ratings compared to Eat Bulaga's 15.2%. 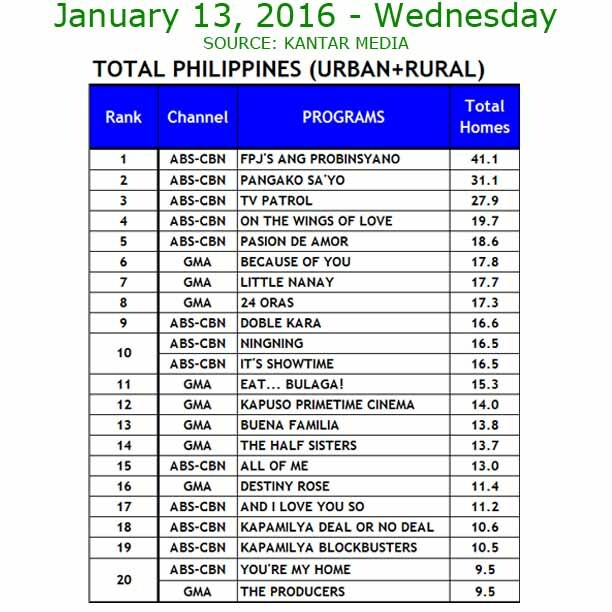 UPDATE 1: Comparative ratings data for Tuesday, January 12 shows It's Showtime edged out Eat Bulaga by a slim 0.1%. 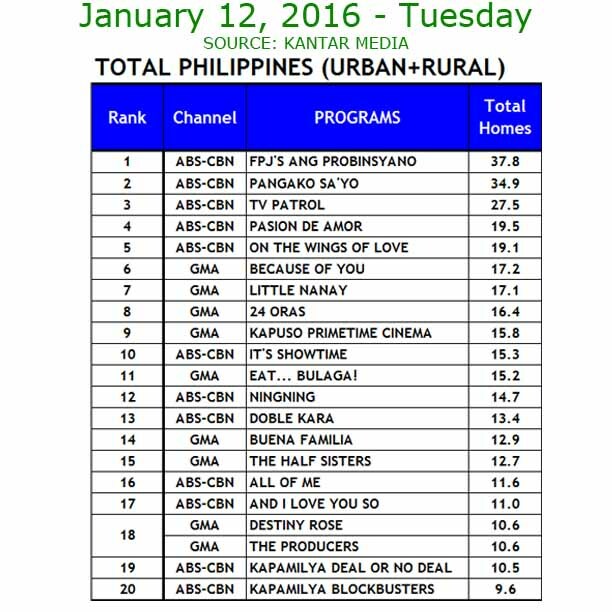 UPDATE 3: It's Showtime pulls away from Eat Bulaga on Thursday, January 14. The boost in ratings of the Kapamilya show can be attributed to the return of the classic singing contest “Tawag Ng Tanghalan” and the inclusion of Mariel Rodriguez and Amy Perez as new hosts of the noontime show last January 2. It's Showtime audience share improves day-by-day while Eat Bulaga ratings return to 15-20% range, same figure as AlDub (Alden Richards and Maine 'Yaya Dub' Mendoza) Kalyeserye craze started to soar in July 2015. 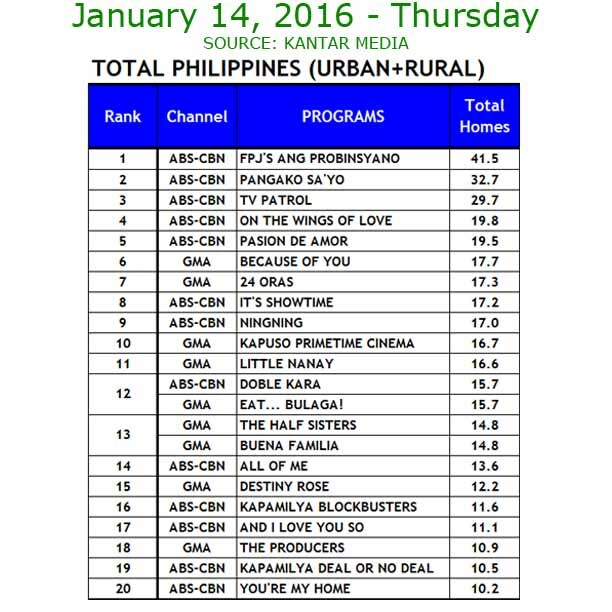 Before the AlDub phenomenon last year, It's Showtime consistently topples Eat Bulaga in noontime TV ratings. The ratings of the latter are usually on 12-14% range. Eat Bulaga garnered its highest ratings of 40.1% versus 10.2% of rival on October 24, 2015 for AlDub 'Tamang Panahon' charity concert event at the Philippine Arena.